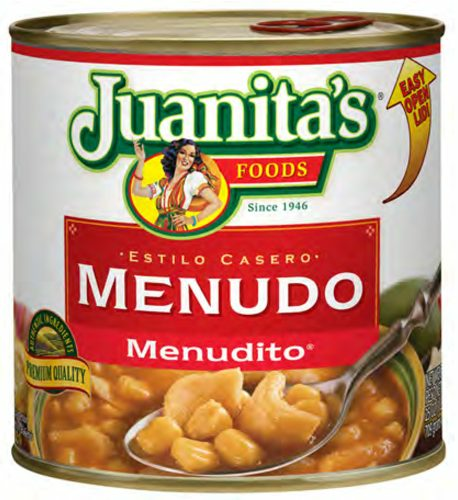 Juanita's Menudo - Tripe Soup or tripe stew only uses U.S.D.A. approved beef tripe. They only use salt and lime to process the dried white corn into savory hominy never using lye like other brands. All you need to do is heat and serve Juanita's Menudo and garnish with diced raw onions, fresh cilantro, lime juice and oregano. 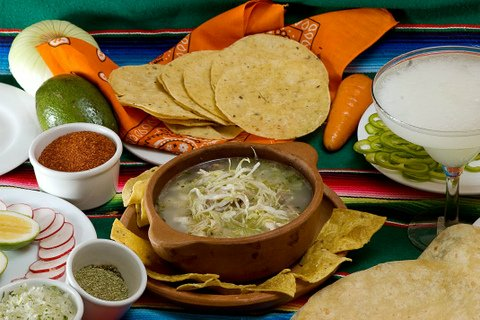 Menudo is one of the most popular dishes in Mexico. This hearty stew is a meal in itself with tender beef tripe and Mexican-style hominy combined in a red chile broth. It is appropriate to serve any time of the day: breakfast, lunch, or dinner. Menudo is also a traditional holiday specialty and served at any festive occasion. Menudo tripe stew. Menudo Juanita'a de picante mediano con tripa, ma�z blanco, cebolla, chile y especias. I was born in the Chicago area. We had access to all nationality foods. I loved Mexican food and make it at our home in Florida all the time. One of my favorite dishes was Menudo.. 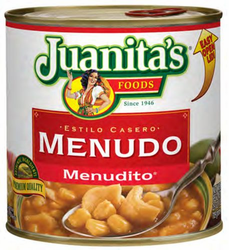 I've never been able to find Menudo at any restaurant or grocery store. I did some searching and found Mexgrpucer. com. They have exactly what I wanted and the same brand. This is my second order and I 'm very pleased, they ship priority mail and pack the cans very good. I'm happy!! Absolutely delicious soup. Not too hot but it has a little bite. Love it!